A second major argument against pursuing this issue in the UN Security Council is that there are other more relevant bodies in which to address climate change. In fact, climate change is currently being addressed at almost every level and in almost every body within the UN system. Whether it is under the United Nations Environment Programme, the United Nations Development Programme, the Commission on Sustainable Development, the Economic and Social Council, the United Nations Industrial Development Organization, or one of a dozen other agencies, climate change has become a key area of focus throughout the UN system. Since his arrival at the UN in January 2007, Secretary General Ban Ki-moon has given the issue a high priority. His focus is admirable. Much of this work has been at the operational level among UN staff and consultants (Climate-L.org, 2008b). But, where should diplomats focus their attention? The answer is clearly the UNFCCC and its Kyoto Protocol. Negotiations under the UNFCCC are at a critical stage. Diplomats are seeking to reach an agreement by December 2009 on a global framework to tackle climate change after 2012, which is the year when agreement on emissions limits for industrialized countries under the Kyoto Protocol expires. While climate and energy insecurity is not the primary focus of these talks, the UNFCCC process has the potential to have a significant impact in this area, offering an unprecedented opportunity to set rules for how the international community both mitigates and adapts to climate change through to 2020 and beyond. In December 2007, negotiators at the UN Climate Change Conference in Bali agreed to launch a comprehensive process to support sustainable implementation of the convention through long-term cooperative action. An agreement is to be reached by the 15th Conference of the Parties to the convention, which is taking place in Copenhagen in December 2009. The talks will seek to secure 'a long-term global goal for emissions reductions, to achieve the ultimate objective of the convention' (UNFCCC, 2007). The ultimate objective of the convention, according to Article 2, is to achieve 'stabilization of greenhouse gas concentrations in the atmosphere at a level that would prevent dangerous anthropogenic interference with the climate system. Such a level should be achieved within a timeframe sufficient to allow ecosystems to adapt naturally to climate change, to ensure that food production is not threatened and to enable economic development to proceed in a sustainable manner'(UNFCCC, 2007). Achieving the objective of the convention would therefore have a direct bearing on climate and energy security. Steps to achieve the convention's aim will have an impact upon the pace and degree of climate change in the coming decades. Such steps imply a dramatic change in any 'business-as-usual' scenarios envisaged for energy production and consumption in the coming decades. 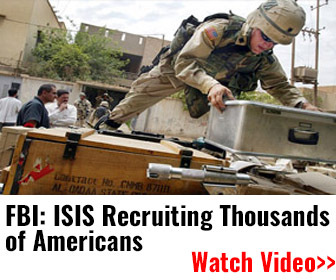 They will require serious political and financial commitments4 (Stern et al, 2006). At this time, the UNFCCC negotiations are the obvious forum in which to secure such an agreement. Arguably, they are the only forum (Frankels, 2007). Certainly, the UNFCCC process can boast broad support as the forum in which a post-2012 deal can and should be struck (Frankels, 2007). Under the agreements reached in Bali, any Copenhagen deal will need to be more ambitious and comprehensive than commitments under the Kyoto Protocol. Since that treaty was inked, adaptation has joined mitigation as a critical focus, as has the need to address technology development and transfer and the need to address emissions from the destruction of forests. A future agreement will also need to include action both by developed and developing countries (Kyoto focused only on developed country commitments). As part of the agreement reached in Bali, developing country actions will be supported by industrialized countries in terms of technology transfer and financing. This message was reaffirmed more recently during the December 2008 round of negotiations in Poznafi, Poland. Clearly, climate change is no longer viewed simply through an environmental lens. Under the UNFCCC talks, it is already recognized as a development issue and a serious economic concern. Long- and medium-term goals, pledges to limit greenhouse gas emissions and to control temperature rises and atmospheric concentrations of CO2 - these are the outcomes that will build resilience and address climate and energy insecurity (Spence et al, 2008). Whether these outcomes can be achieved in Copenhagen remains to be seen. Whatever happens in Copenhagen, though, the negotiating path will certainly not end there. But what is clear is that Copenhagen presents a genuine opportunity to make a dramatic breakthrough on climate change. A well-crafted agreement would provide a huge incentive for clean development and spur major changes in investment flows that could have an impact both upon the pace and extent of climate change, and upon the capacity of countries and communities to deal with the problem. These problems are at the heart of the climate and energy security debate (Spence et al, 2008). 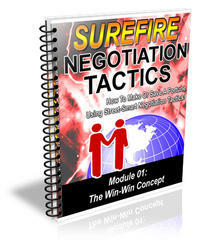 Shockingly Simple But Powerful Negotiation Strategies Save The Ordinary Joe Thousands Of Dollars Of Foreseen Expenses. Discover How You Too Can Save More, Keep Under Your Budget, And Make More Money With These Simple Negotiation Tactics You Can Apply In Any Business!